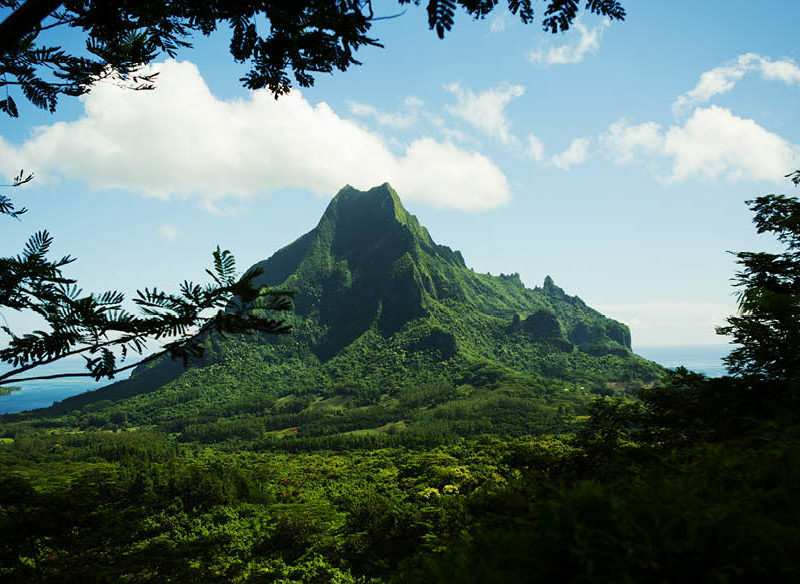 It's not hard to get lost in the natural sights of Tahiti. The Islands of Tahiti are a living, breathing embodiment of paradise on Earth, the kind of place where stereotypes are met and exceeded. The best way to see as much as possible is by island hopping across this collection of atolls and archipelagos, scattered like confetti in the South Pacific. The largest island in French Polynesia (the official name for the Tahitian islands), Tahiti is your starting off point, with flights arriving into the capital of Papeete from Sydney, Brisbane and Melbourne. Linger here for a day or two and you will discover a lively social and cultural scene, with great dining options (from French-influenced fine dining to funky food trucks), colourful markets buzzing with locals, dramatic black sand beaches and a lush tropical landscape to explore. There are also some excellent hotels and resorts to choose from: try Manava Suite Resort Tahiti (manavatahitiresort.com). 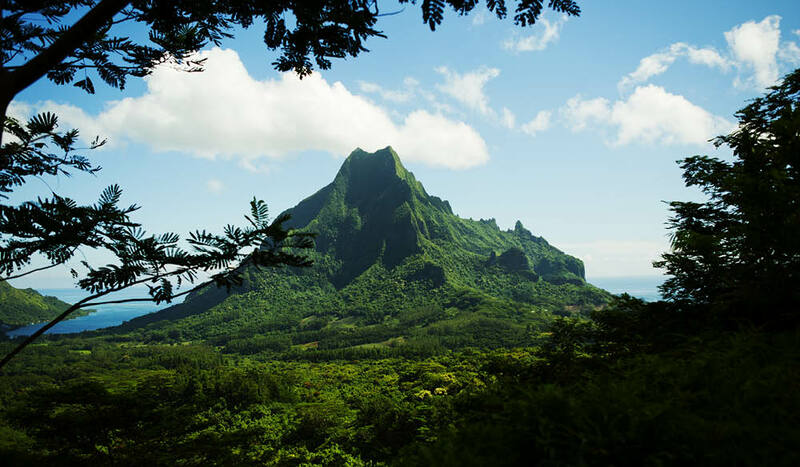 Arriving onto Moorea by a quick 30-minute ferry ride from Tahiti, the relaxed pace of island life here immediately engulfs you like the sweetly fragrant tropical air. Base yourself at the luxe Sofitel Moorea Ia Ora Beach Resort (accorhotels.com) – for a real treat book an over-water bungalow with their uninterrupted water views that stretch on forever – and spend the next two or three days getting to know the island. Take a drive to the Belvedere to get a stunning view of the island and the reef surrounding it, then stop in at a tropical fruit farm to taste test the sweet home-made jams and juices. The next day head off on a lagoon tour (book with Moorea Mahana Tours; mooreamahanatours.com) through stunningly blue waters, before dropping anchor to swim with sting rays and reef sharks – a real once-in-a-lifetime experience. After that it’s time for a beach picnic on a deserted motu (island), learning how to husk coconuts and sampling the delicious poisson cru, raw tuna marinated in lime juice, mixed with tomato and cucumber and drenched in freshly squeezed coconut milk. It is a 45-minute Air Tahiti flight from Tahiti into Raiatea, followed by boat transfer to Le Taha’a Island Resort & Spa – Relais & Châteaux (letahaa.com) on the island paradise of Taha’a. Time becomes irrelevant here, where days are metred out by the sun rising in the morning and then setting over the island of Bora Bora in the distance; it’s all about doing as little as possible. Relax over breakfast delivered to your over-water bungalow by canoe, go snorkelling in the clear waters to discover a kaleidoscopic underwater world, and reach total island inertia with a treatment in the hotel’s spa. Back on Raiatea, there are two musts to tick off your list before heading home. Visit a vanilla plantation to see how plump Tahitian vanilla pods full of inky-black beans are painstakingly cultivated; they are a delicious souvenir to take home. And then wander the UNESCO World Heritage site of Taputapuatea marae, an ancient sacred site estimated to be thousands of years old, where religious and social ceremonies were performed prior to the arrival of European missionaries, and where ancestors arranged hundreds of stones that they believed to held Mana, a source of power and spiritual strength.